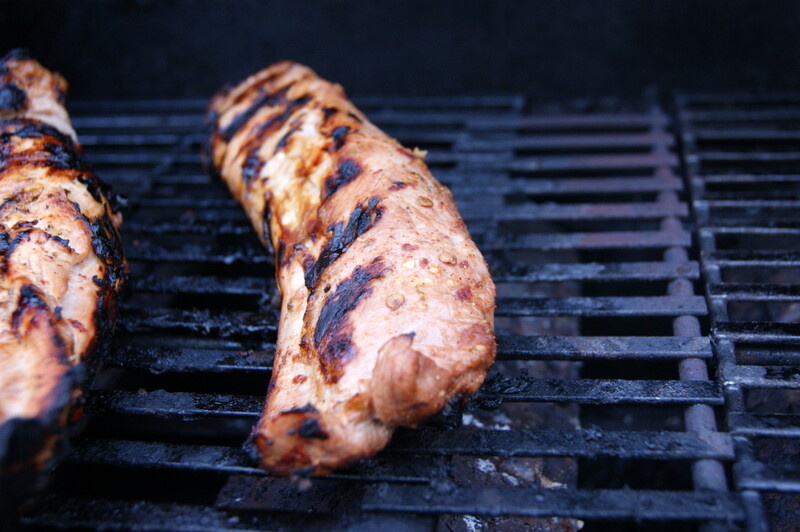 I’m always trying to come up with new ways to make pork tenderloin since we love it so much in our house. 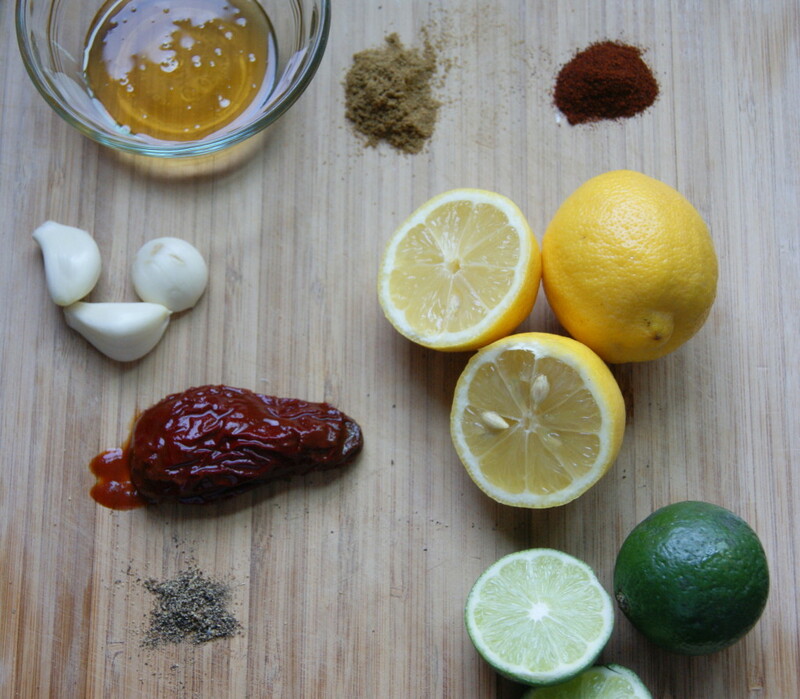 The citrus in this marinade helps tenderize the meat while it marinades and gives it a little Cuban flare. It also cooks in a flash – mine was done in under 20 minutes – making it great for guests or a quick weeknight meal. All the marinade ingredients ready to get to work on the pork. Grill for 7 – 8 minutes on the first. Don’t mess with it while it’s cooking – just let it do its thing. The meat should move freely after 7 – 8 minutes and that’s when you know it’s ready to be flipped. Flip and cook for about 6 minutes on the second side. Turn of the grill and let the pork cook for another 5 minutes, until internal temperature reaches 140 degrees. Place lemon juice, lime juice, lime zest, honey, cumin, chile powder, black pepper, garlic and chipotle pepper in a bowl. Whisk well to combine. Trim pork of any excess fat or silver skin. Place pork in re-sealable plastic bag. Pour marinade over the top. 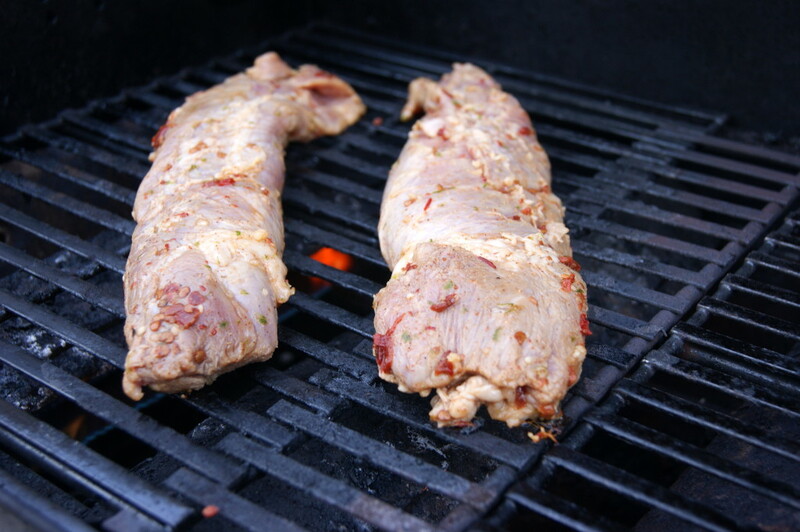 Seal and marinate in the refrigerator for 4 – 24 hours. Remove pork from refrigerator and let sit at room temperature for 15 – 20 minutes. 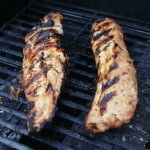 Remove pork from marinade and pat dry with paper towels. Brush the grill with the vegetable oil. Add pork and let cook covered, for 7 – 8 minutes. Flip and cook covered for another 5 – 6 minutes. Finally, turn grill off and let pork cook covered for another 5 minutes, until internal temperature reaches 140 degrees. 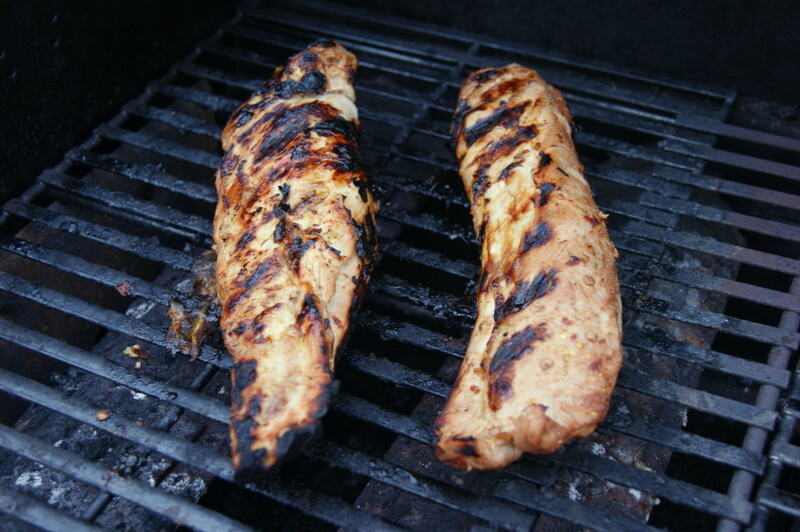 Remove from grill, cover loosely with foil and let rest for 5 minutes. Thinly slice pork and serve immediately.